1-day unlimited travel: £3.90 - 7 consecutive days unlimited travel: £14.00 - & 28 consecutive days unlimited travel: £53.50. 1-day unlimited travel: £4.60 - 7 consecutive days unlimited travel: £21.00 - 28 consecutive days unlimited travel: £75.00. Available to all children between the ages of 5-years old and up to and including 18-year olds during both term & non-term times. 7 consecutive days unlimited travel: £17.50 - 28 consecutive days unlimited travel: £68.00. 1-day unlimited travel: £5.90 - 7 consecutive days unlimited travel: £32.50 - 28 consecutive days unlimited travel: £104.00. Available Monday  Friday before 09:30am. Passengers must show a valid English concessionary pass (with the rose symbol). Scottish & Welsh passes are not accepted in England. 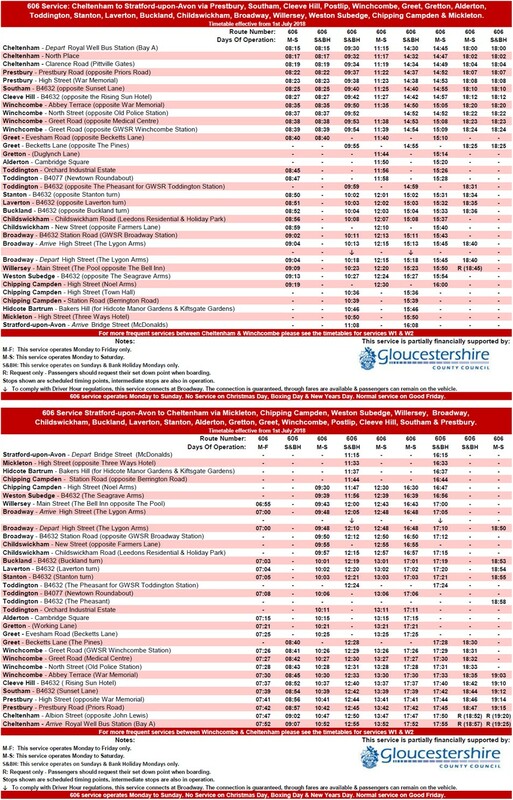 Cheltenham Zone Early Riser (Only available to purchase and use between Cheltenham to Cleeve Hill/Postlip & Bishops Cleeve/Woodmancote to Cheltenham only): £1.00 per journey. Broadway Zone Early Riser (Only available to purchase and use between Winchcombe & Chipping Campden only): £1.00 per journey. Monday  Friday after 09:30am and all day on Saturdays, Sundays & Bank Holidays. Passengers must show a valid English concessionary pass (with the rose symbol). Scottish & Welsh passes are not accepted in England. Blind & partially sighted persons can travel at all times, providing their pass has a clock face symbol on it. Passes which have a "C+" symbol in the top right corner are allowed a companion to travel free with them. Where a concessionary travel pass permits the pass holder to be accompanied by a companion, one companion shall be carried without payment of a fare. A companion must get off the bus at the same bus stop as the concessionary pass holder or must purchase a valid ticket for any further travel. Well behaved dogs on a lead can travel for a flat fare of 60p per journey. Assistance Dogs of any size will be carried free of charge, when accompanied by a registered disabled person and when being trained by a trainer bearing the appropriate valid identification. 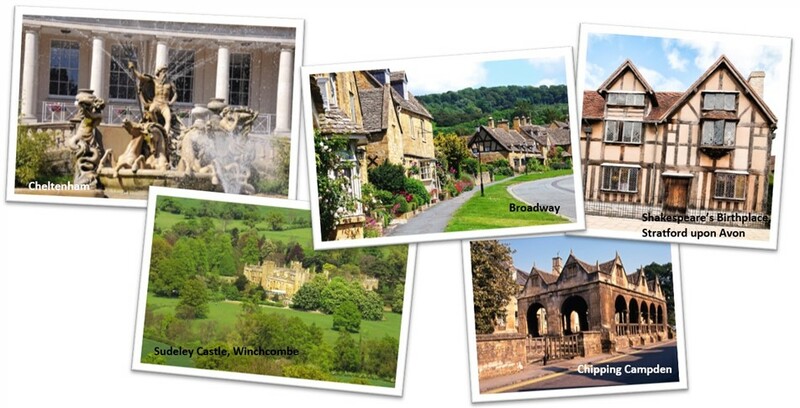 Our 606 service runs every Sunday & Bank Holiday Monday from Cheltenham & Winchcombe with other convenient bus stops along the route to Stratford-upon-Avon, Chipping Campden, Broadway and Hidcote Bartrum for both Kiftsgate House Gardens & the National Trusts, Hidcote Manor Gardens. on the way to Stratford-upon-Avon? & bars, a boat trip along the River Avon, or a visit to Shakespeares Birthplace? Plus for your convenience there is no need to pre book, just turn up on the day, pay the driver or show your concessionary bus pass. Winchcombe & Stratford-upon-Avon Visitor Centre.